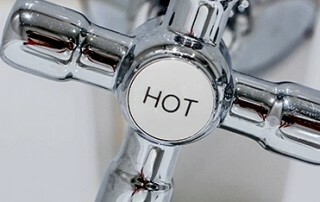 One of the questions we get asked a lot is this one: when should I replace my hot water tank? How long will it last? Here are a few simple plumbing tips for anyone looking to buy a home this summer, whether it’s your primary home or a vacation getaway. As you know, the real estate market is sizzling hot right now. In many communities, sellers receive multiple offers within days of listing their property for sale. Some realtors report that homes are selling for nearly 97 percent of their list price. When the market is hot, there is a tendency to move quickly for fear of losing out. But moving too quickly on a purchase can bring a lot of headaches. A good friend of ours in the real estate business told us that 2016 was a good year for first-time home buyers in Northeast Ohio. That got us to thinking! What advice would we give to first-time home buyers to help them avoid plumbing problems in their new home. Around the lunch table, we probably came up with about 20 or more tips. We whittled the list down to a more manageable number and one that new homeowners would be more likely to follow. We want to be your plumbing company!